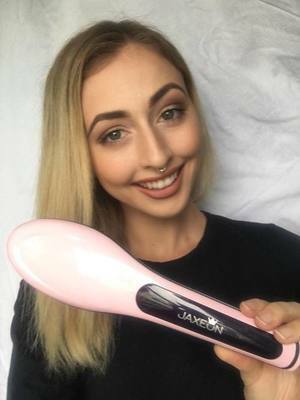 Jaxeon Hair Straightener Brush Classic took the world by storm with it's innovative design and amazing efficiency in straightening hair. It's simple as turning on, set temperature and brush! You will be totally blown away by the results after only a few strokes. We firmly believe that we provide some of the best products in Australia and will stand by their quality. If the product experiences any form of mechanical fault during the warranty period we will issue a refund or replacement. Please see our return policy for the full terms. Copyright © 2019 Jaxeon PTY LTD. All Rights Reserved.